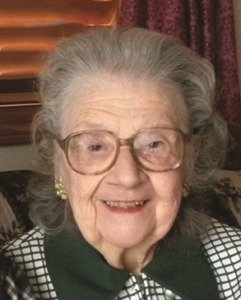 Adeline Mardelle Matzke, 95, of Monroe, formerly of Juda, died peacefully Wednesday January 16, 2019 at Aster Assisted Living in Monroe. Mardelle was born December 16, 1923 at Deaconess Hospital in Monroe, the daughter of Henry S. and Erma V. (Matzke) Norder. She attended West School near the family farm on Greenbush Rd. through eighth grade. Mardelle graduated from Juda High School as class valedictorian. She attended and graduated from Whitewater State Teachers College. She was very proud of the fact that she achieved perfect attendance from first grade through college. Mardelle was very musical and spent her teen years playing the accordion at Bluff View in Brodhead and calling square dances at Turner Hall in Monroe. After receiving her teacher’s certificate, Mardelle taught at Brodhead Grade School, Juda Grade School and was principal at Juda Grade School for six years. She was also responsible for the music programs at those schools. Mardelle loved the arts, both music and painting. She was the choir director for many years at the Juda Zion United Methodist Church. She also painted large scenic murals on the walls of her homes in Juda. She was an avid collector of Avon bottles, cut glass and depression glass. Mardelle also talked often of starting and ending her day with family devotions with her parents. One of her favorite Bible verses was from Isaiah 41:10 “Fear not, for I am with you; be not dismayed, for I am your God. I will strengthen you, I will help you, I will uphold you with My victorious right hand.” She was also known for her homemade personalized birthday and anniversary cards sent to all members of her family. On June 26, 1946 she married Irvin H. Matzke at Juda Zion Evangelical Church. At the wedding ceremony she had seating saved for her students from the Juda School. Upon retiring from teaching, Mardelle worked as bookkeeper at Carter and Gruenewald Implement in Juda. In January of 1986, Irving and Mardelle retired and moved to Kihei, Maui, Hawaii for 12 years, 3 months and 2 days, (not that they were counting!) before returning to live in Monroe. Mardelle is survived by sister-in-law Hazel Matzke; a nephew Brian (Peggy) Matzke; a great-nephew Chip (Jessica) Matzke and their daughter, Reagan, all of Juda; a great-niece Calli (Jeff) Ingebritsen and their children Marilyn and Kenneth of Mount Horeb; and several other nieces, nephews, great-nephews, great-nieces and cousins. She was preceded in death by her parents; husband; sisters-in-law, Ruth (Carl) Schmidt, Irene (Orville) Zabel, brother-in-law Paul Matzke, nephews William Zabel, Warren Schmidt and niece Carleen Novak. 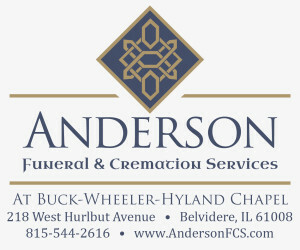 Funeral services were held on Tuesday, January 22, 2019, at 11 a.m. at the Newcomer Funeral Home, Monroe, with Rev. David Busker officiating. Mardelle’s family would like to thank the staffs at Aster Assisted Living and Monroe Clinic Hospice for their kind and compassionate care.